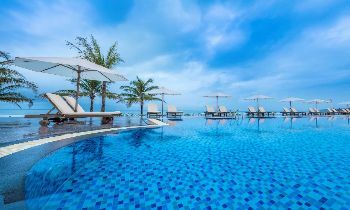 Phu Quoc tours have become more and more developed along with the inauguration of Phu Quoc International Airport in December 2012. The VND 12,000-billion (USD 704-million) Phu Quoc International Airport is located in Duong To Commune, more than 10 kilometers away from the current Phu Quoc Airport. The International Airport project was started on November 23, 2008 with a total investment of VND 3,000 billion, invested by Vietnam Airport Corporation. The runway is 3,000 meters long and 45 meters wide. The aircraft deck was built using cement concrete structure with five Boeing 747 parking positions or parking space for eight Airbus A321 aircraft. Other important items such as the air traffic control station, passenger terminal, lounge, etc are designed modernly according to international standards. This is the first international airport project to be deployed in Vietnam in the form of 100% corporate investment capital. 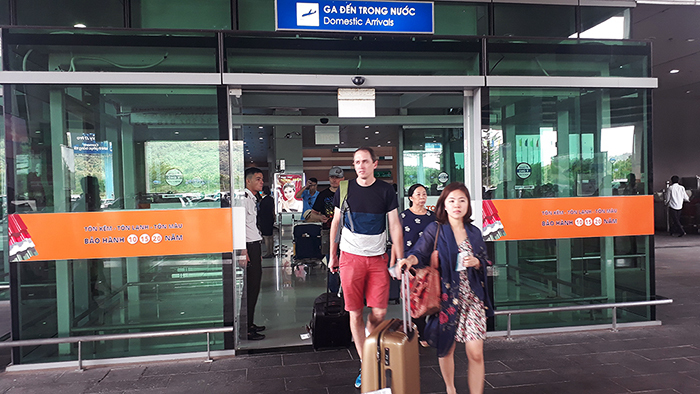 While the existing Phu Quoc Airport can only receive 248,000 passengers per year, Phu Quoc International Airport is expected to serve about 2.65 million passengers and handle 8,600 tons of international goods and 5,700 tons of domestic goods annually by 2020. When it becomes fully operational in 2030, the airport will be able to serve 7 million passengers and handle 27,600 tons of goods every year. It is expected to receive as much as 20 planes at peak hours. Speaking at the groundbreaking ceremony Sunday, Prime Minister Nguyen Tan Dung said Phu Quoc International Airport would expedite the development of Phu Quoc District, Kien Giang Province, the southern region and the whole country. The project seeks to improve traffic infrastructure in the locality, enabling it to become a center for tourism and services and connect with other regions in Vietnam as well as other foreign countries for trade activities, Dung said. Vietnam currently has three international airports based in Hanoi, Ho Chi Minh City, and Da Nang City, along with 13 domestic airports. 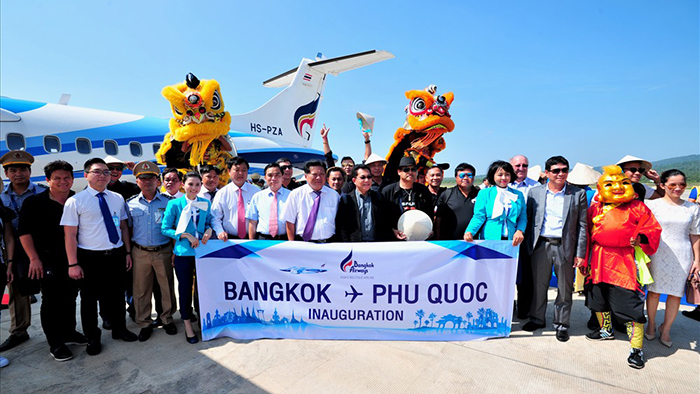 Phu Quoc International Airport has been put into operation, contributing to the development of Phu Quoc island to become a center of eco-tourism, resort, and beach tourism of regional and international scale. 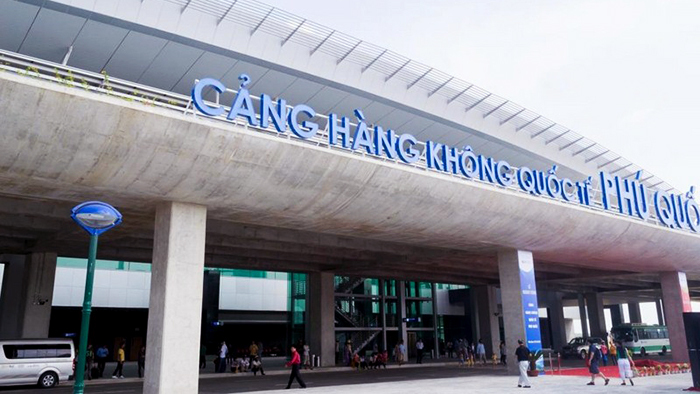 Together with Can Tho International Airport, Phu Quoc International Airport has helped Kien Giang and other provinces, cities in the Mekong Delta to connect directly with national and Asian provinces, cities, and regions. Since the introduction of international tourism products, the large flow of tourists has constantly poured into Phu Quoc. Particularly, foreign visitors in 2018 increased 68.4% compared to 2017. The infrastructure system which is more and more modern and complete with airports, seaports, island roads, etc. With the inauguration of Phu Quoc International Airport, Phu Quoc is promised to be one of the top destinations in Vietnam. If you like the place, don’t miss out a chance to visit the island on the vibrant holidays. 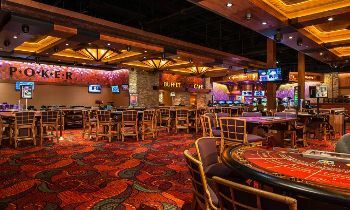 For further information, feel free to contact us or visit our website. Thank you and hope you will have a wonderful time here.